Increasing the volume at which you hear is only one component of hearing restoration. If older hearing aids have made it hard for you to distinguish between sounds or fully comprehend what you hear, then we think you’ll be delighted with the leaps and bounds that modern technology has made. Our cutting-edge hearing aids include state-of-the-art NeuroTechnology™ to help restore your hearing clarity in Maui, HI. NeuroTechnology™ is designed to treat hearing loss by using complex stimulation patters to help replace diminished auditory input to the brain. Traditional hearing aids just make things louder, but with today’s new NeuroTechnology™ treatment options, you can hear more clearly and more naturally, in all listening environments… even in noisy restaurants! There are different types of NeuroTechnology™ – each custom designed and programmed to meet your hearing loss, and your hearing needs, but they all ultimately perform the same function: to help you hear more clearly – and more naturally. We hear with our BRAINS, not with our ears. 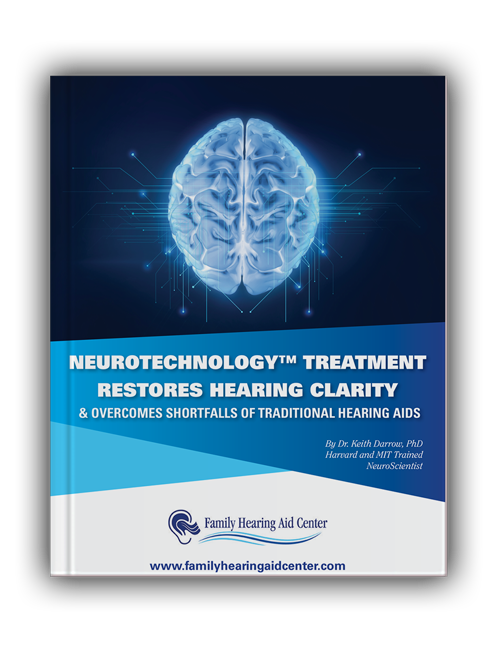 Today’s NeuroTechnology™ is the only proven hearing loss treatment options that focus on enhancing brain function by providing enhanced clarity surround sound with background-noise canceling features. NeuroTechnology™ can be used to address the full spectrum of hearing difficulties, from people with audiometric ‘normal hearing’ to individuals with severe to profound hearing loss. What Are the Different Types of NeuroTechnology™? NeuroTechnology™ comes in several ‘shapes and sizes,’ including some invisible options for maximum discretion. Your hearing health care provider will review your treatment options based on your specific hearing loss and hearing needs. Regardless of which treatment option is right for you, whether you’re out to dinner with friends, hitting the beach, meeting with clients, or hiking, you’ll be able to hear what matters most with today’s hearing-loss technology. Stop struggling to hear your friends and family clearly. 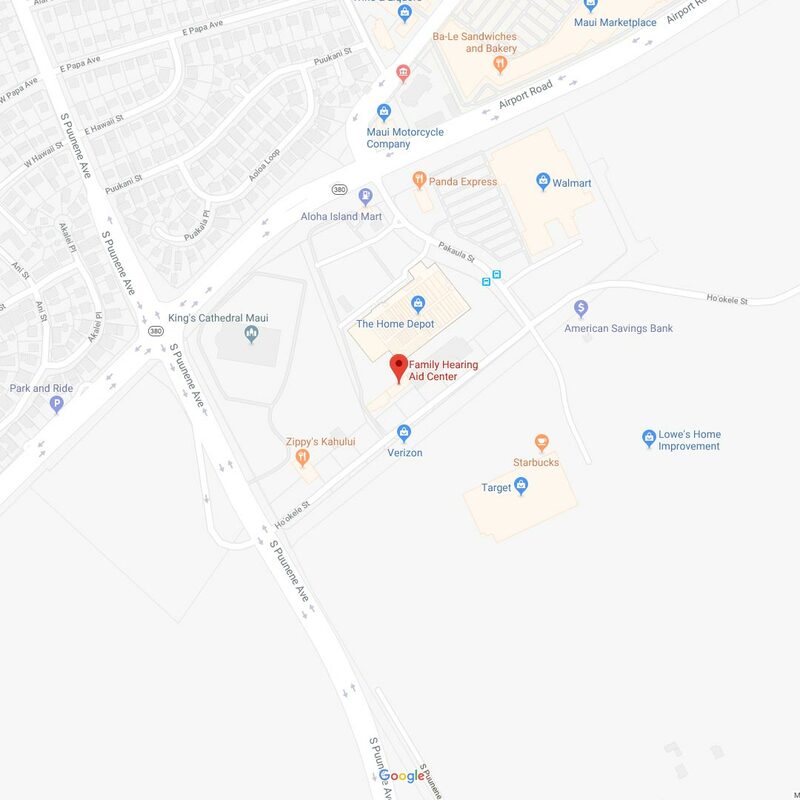 Call our hearing aid center to request your complimentary initial hearing assessment, and let us show you the incredible advancements that science has made to restore your hearing clarity in Maui, HI. Your journey to improved hearing begins today! 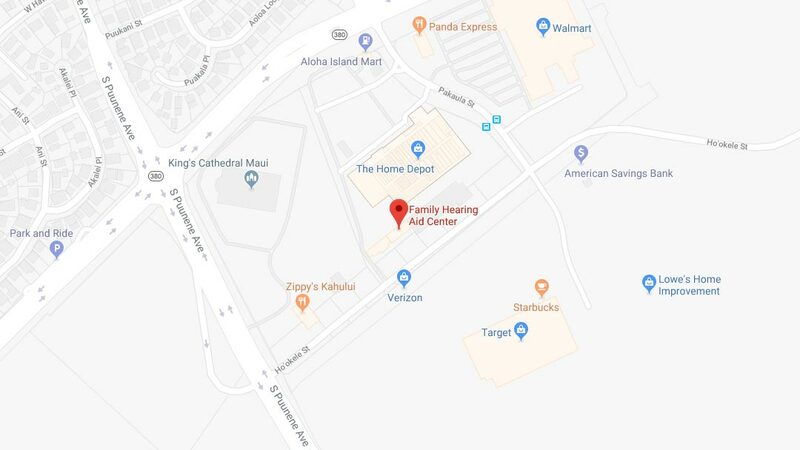 As one of the premier hearing aid centers in Kahului, HI, our team at Family Hearing Aid Center also provides 5-star-rated hearing care to patients from Hilo, Kailua, Kona, Honolulu, Pearl City, Kaneohe & Kahala, HI, and surrounding areas.